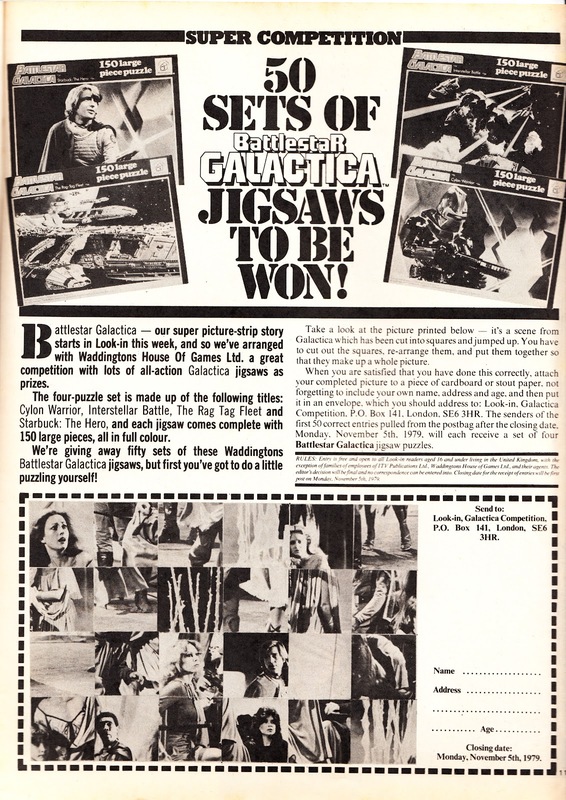 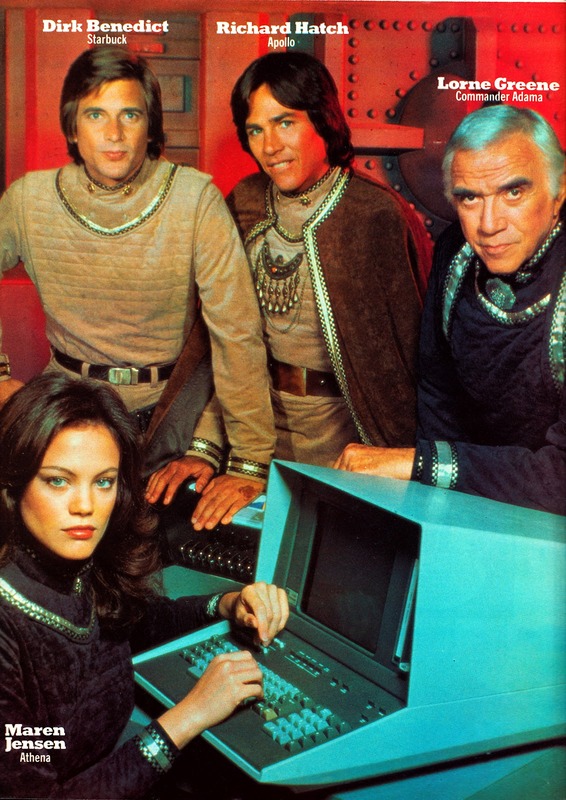 Sandwiched between the release of the "fake" feature film and the premiere of the TV series proper (still a year away), BATTLESTAR GALACTICA returned to the pages of Britain's LOOK-IN in October 1979. Another article accompanied the debut of the full-colour comic strip. 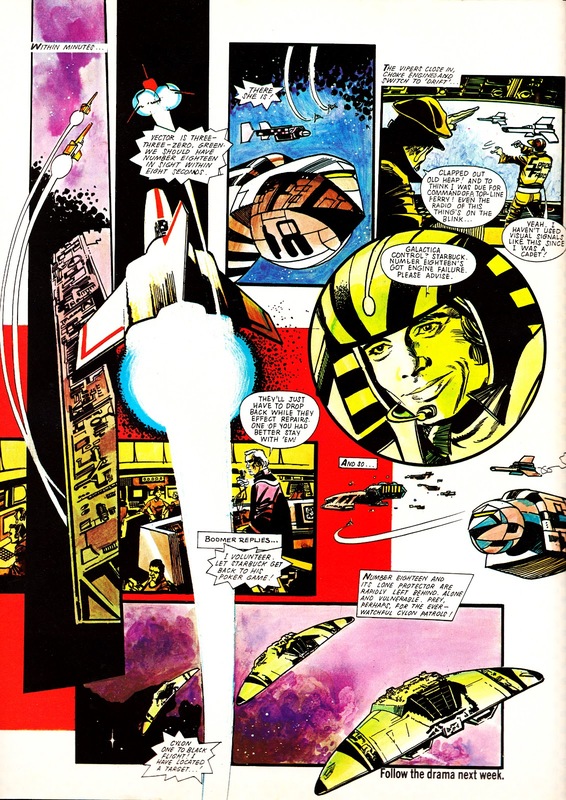 The strip ran for a year, ironically ending just as the TV show was beginning to do the rounds of the ITV network, albeit in a haphazard fashion on a station-by-station basis. 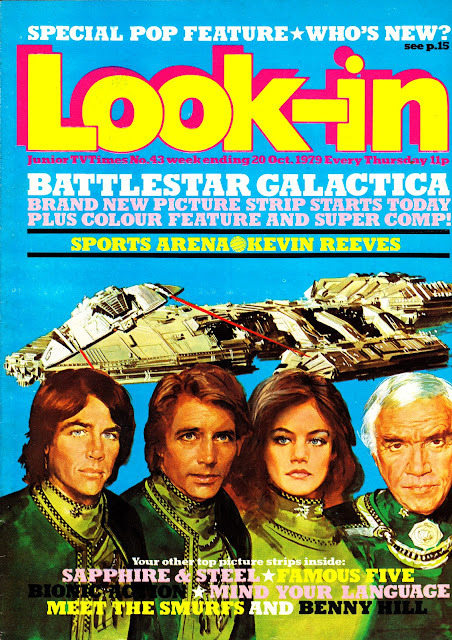 Created specifically for LOOK-IN, the strip was never reprinted elsewhere and hasn't been seen since it first appeared. 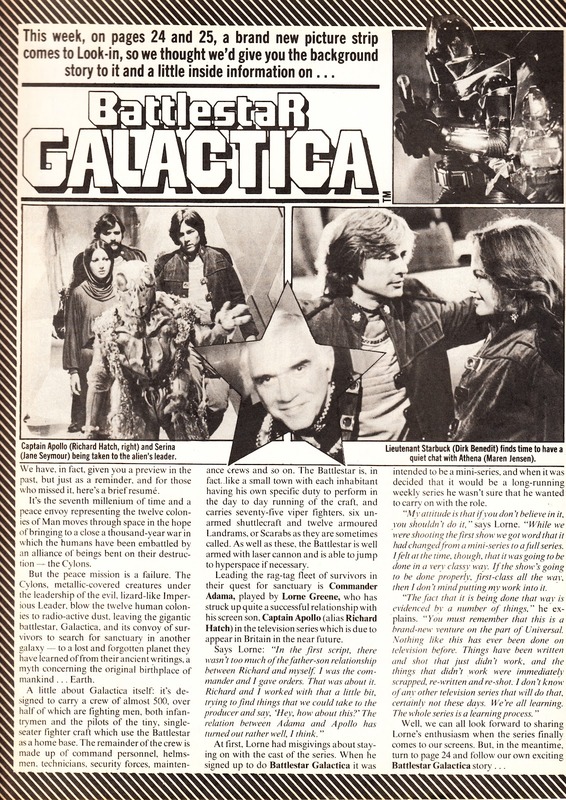 This makes it amongst the rarest and hardest to track down pieces of merchandise related to the show. 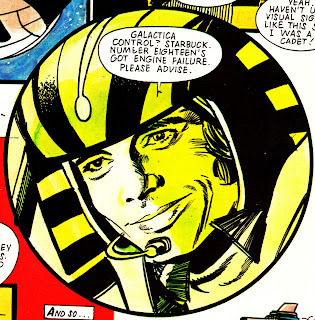 The artist throughout the run was Martin Asbury. 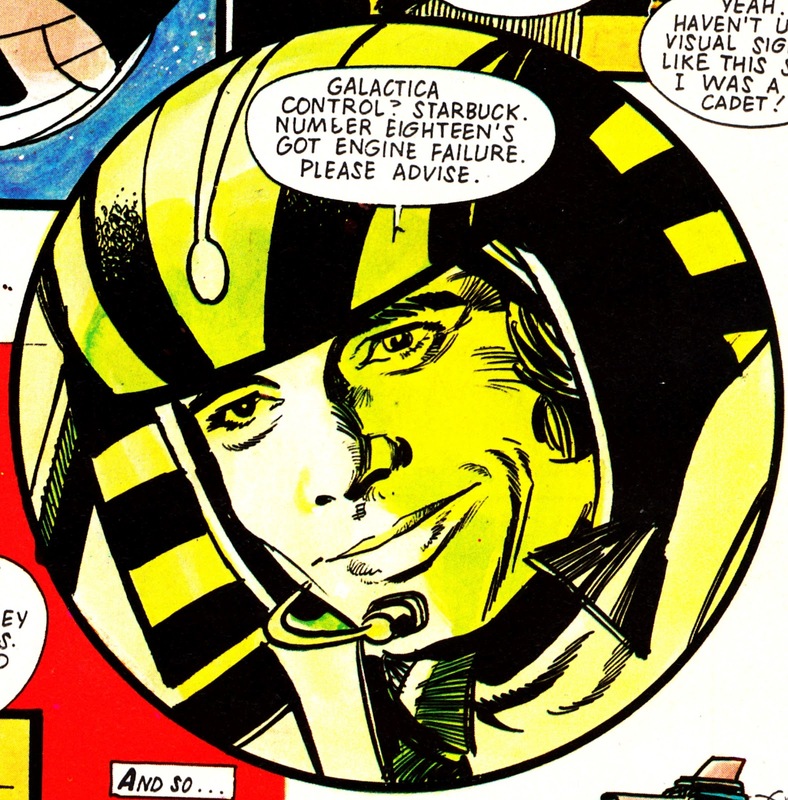 Almost simultaneously, Marvel UK issued STAR HEROES WINTER SPECIAL which, along with THE MICRONAUTS, also reran Marvel USA's two-part adaptation of the TV episode LOST PLANET OF THE GODS. 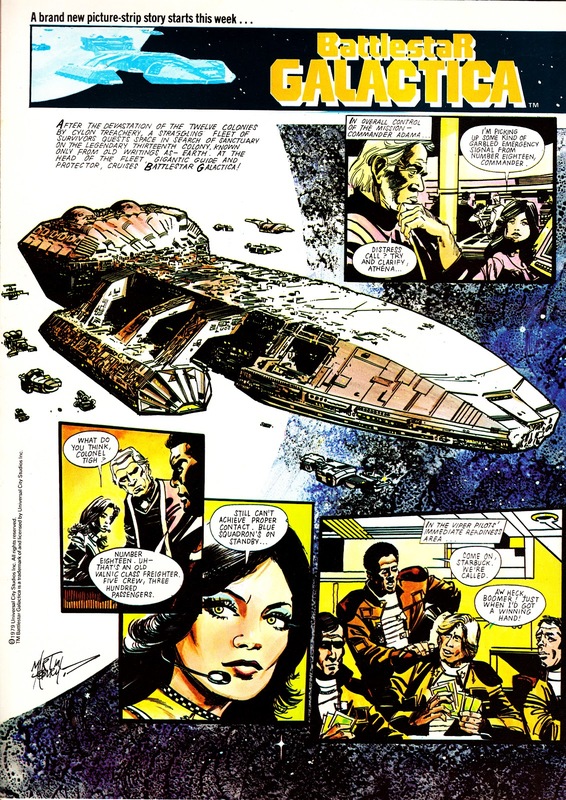 This wouldn't be the only time that Universal would allow two British publishers to run strips based on one of their properties at the same time: LOOK-IN ran an original A-TEAM strip at the same time as Marvel UK issued two specials reprinting the US limited series. See here and here for more.